The likelihood that the semiconductor maker launches a proxy war to drive its $130 billion acquisition offer for Qualcomm rises after Qualcomm rejected its unsolicited bid. The likelihood that Broadcom Ltd. (AVGO - Get Report) will launch a boardroom battle to take over the board of Qualcomm Inc. (QCOM - Get Report) increased substantially on Monday, Nov. 13. That's because as expected, Qualcomm announced Monday it was rejecting Broadcom's unsolicited $130 billion, including debt, acquisition offer. Last Monday Broadcom offered to buy Qualcomm for $70 a share in cash and stock, in what would become the largest ever technology combination if it were to ever be consummated. Nevertheless, Qualcomm, which is in the midst of completing a $47 billion acquisition of NXP Semiconductors (NXPI - Get Report) , said the Broadcom offer "dramatically undervalues" the business and comes with "significant regulatory uncertainty." It is unclear exactly what Broadcom will do next. The semiconductor company has been mulling a proxy war, according to a Nov. 6 Bloomberg report, citing sources, if Qualcomm rejected its offer. The goal would be to install directors on Qualcomm's board that are more amenable to the Broadcom offer. The semiconductor company could also consider hiking its bid on its own or in tandem with a proxy fight. A director battle could be launched soon. Broadcom would need to nominate its director slate by a December 8th deadline so that they could be considered at the company's 2018 annual meeting, likely in March. Also, Broadcom would need to take over Qualcomm's entire board, or at least a majority, to drive its deal to fruition. According to Qualcomm's proxy statement, all its directors are elected annually, which would make such an election a serious possibility. It isn't often that hostile strategic bidders resort to boardroom battles to facilitate their efforts. However, it does happen, with mixed results. In 2008 InBev Inc. employed a proxy war approach with its ultimately successful sweetened $52 billion hostile takeover of Anheuser Busch. And in 2014, Valeant Pharmaceuticals International joined forces with Bill Ackman's Pershing Square to employ a boardroom effort in a bid to buy Allergan, a drug company that was acquired by White Knight Actavis in a defensive move. In 2010, Air Products sought to take over Airgas in a deal valued at $65 a share. In that battle, Air Products was successful in electing a minority slate of three new directors to the Airgas board. However, instead of driving a deal as Air Products had hoped they would, the new boardroom members sided with the old Airgas board and decided that the Air Products offer was too low. One proxy solicitor familiar with the situation noted that the only way for Broadcom to be certain that Qualcomm would accept its bid would be if it were to take over the entire board of the chipmaker. He noted that Broadcom could launch a minority-slate contest with the goal of sending a message that its directors if elected, represented a mandate for the deal from shareholders. However, he suggested that the Air Products-Air Gas situation showed that such an approach could backfire. He noted that a proxy fight is a referendum on the deal. He said that if shareholders think it is a right price they will vote in a potential Broadcom slate of directors. However, he added that shareholders could threaten not to vote for the buyer's bid because they believe the price is inadequate. If you didn't already know, here is what Broadcom actually does. 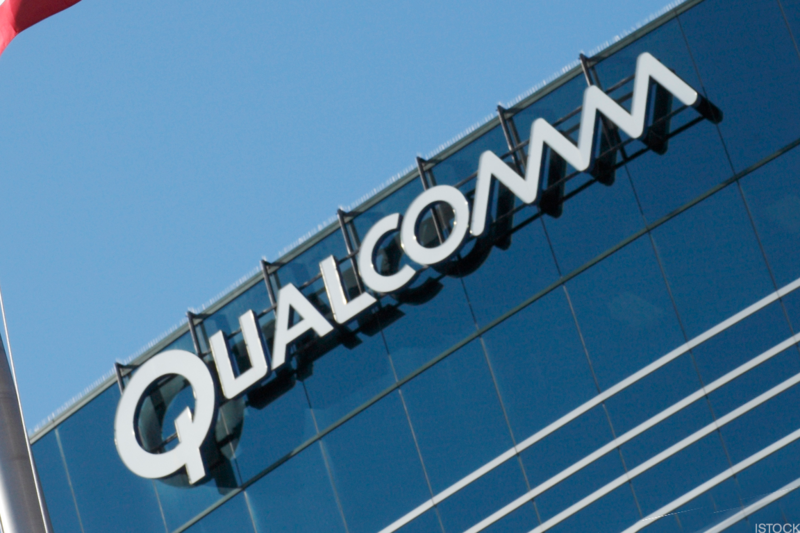 The Qualcomm rejection, however, could be good news for an activist investor that owns a large stake in NXP Semiconductors. Now that Qualcomm appears set to fight any Broadcom bid it will be highly incentivized to get its NXP acquisition done. The completion of the Qualcomm-NXP deal, which was announced last year, could act as a poison pill on the Broadcom offer. At the very least it would significantly complicate regulatory review of any Broadcom-Qualcomm combination. If that's true, they could play right into the hands of activist Elliott Management's Paul Singer, who has a 6% NXP stake and recently launched a so-called bumpitrage campaign to push Qualcomm to pay a higher price for NXP. However, should Broadcom make a higher offer that Qualcomm agrees with it could result in the unraveling of the NXP deal, which could be bad news for Elliott. Broadcom and NXP are holdings in Jim Cramer's Action Alerts PLUS Charitable Trust Portfolio. Want to be alerted before Cramer buys or sells the stocks? Learn more now.